I always took limes for granted when I lived in America. I grew up in LA with a huge tree that seemed to always have fresh fruit, and every supermarket in NY always had limes. It was just a given. I didn’t even think of them as anything exciting or seasonal, it was just another fruit. A staple in the house that you cook with like onions and potatoes. Then we made Aliya and limes were literally nowhere to be found. I remember thinking early on that I was just getting unlucky—back when I didn’t yet grasp the whole seasons’ thing—and would try so many different stores and they just were never to be found. I went all the way to Machane Yehuda (the shuk in Jerusalem) where I went for any hard-to-find items, but lo-and-behold they weren’t there either. Then around two months ago, I finally saw limes for the first time, and I can’t even explain how exciting it was! It was this little package of 6 limes for 10 shekel — probably overpriced but I was so getting it! I was even planning on buying like 20 packages and squeezing out the juice to freeze, but thank God I waited because the supermarkets brought limes in abundance a few weeks later for much cheaper. So, with limes in every corner of my kitchen and a good amount of juice frozen away, I was able to cook with it! It went into my hummus, marinades, and basically anything where I wanted something acidic or sour. A few weeks ago I was planning my Shabbat lunch and decided on lemon ice cream for dessert. 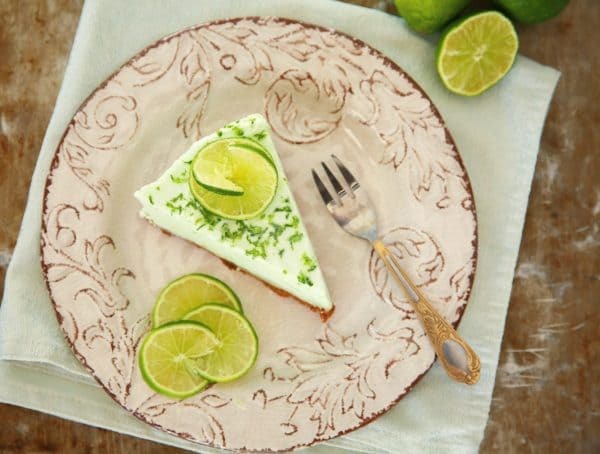 But wait, I thought, why make lemon ice cream when it can be lime-flavored! I was also debating what to use for the crust, because in America I used cinnamon Graham crackers, but we don’t have that here. I walked up and down the cookie aisle and spotted some Lotus cookies and could not believe that didn’t come to mind right away. I went home and tried it out and it came out even better than I could have dreamed! 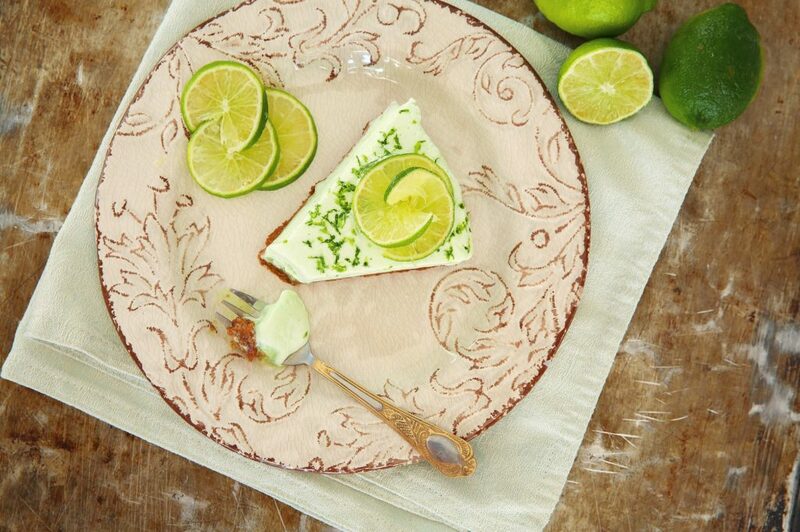 So, while limes are still in season (at least for us Israelis) make this recipe for a fun summer dessert! Pulse the cookies in a food processor with the brown sugar, oil and cinnamon until it comes together in a ball. Pat into a circular tin to form the crust. If you have enough go up the sides of the tin too. In the bowl of a KitchenAid, whip the egg whites with 1/4 cup sugar until solid and fluffy. Remove to a bowl. Whip the rich's whip with 2-4 tbsp sugar (depending how sweet your whip is) until you have firm peaks. Add into the egg whites bowl. Whip the egg yolks with the remaining sugar and lime juice until fluffy. Pour into the other mixtures and mix everything together. 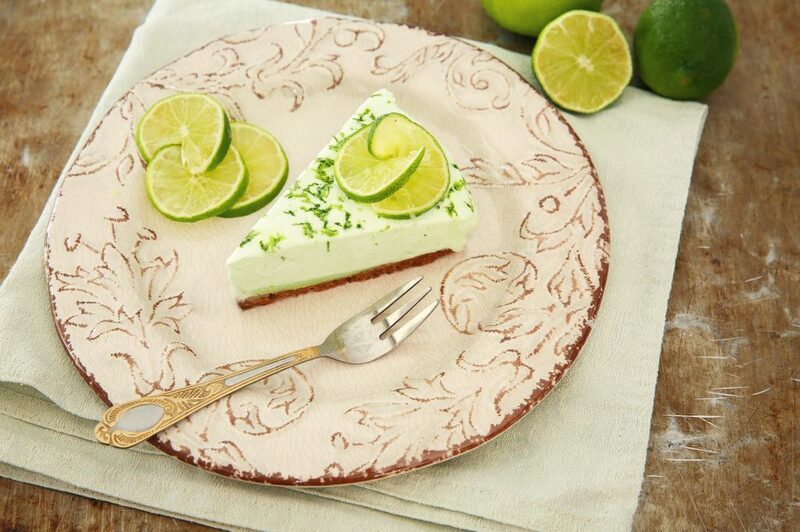 If you want a nice light-green color, add a few drops of green food coloring and mix in. Pour over the cookie crust. Cover and freeze for an hour. 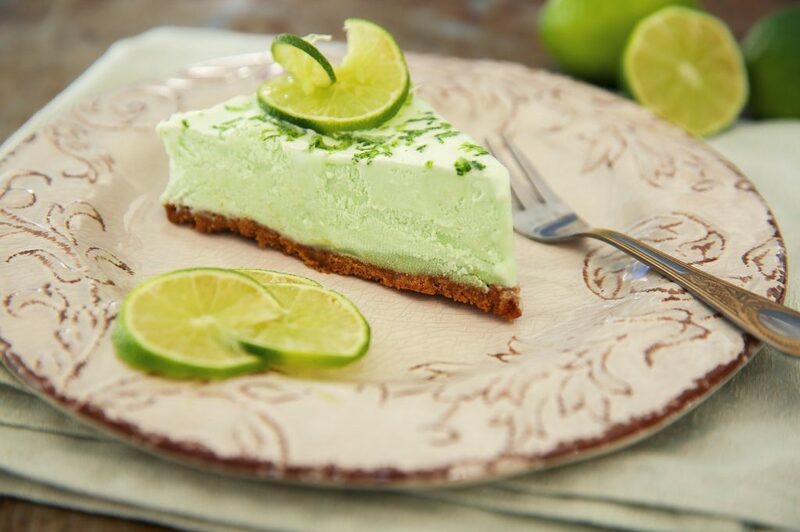 Take out of the freezer, top with the lime zest and freeze again for at least 3 hours. Serve right from the freezer, no need to let it rest for a few minutes first.